Seconded to Steptoe & Johnson LLP, Washington, D.C.
- Providing advice on corporate management- and overall management-related legal affairs, crisis management, corporate governance, etc. - Having extensive experiences in various fields of lawsuits in general, including not only fields such as corporate-related lawsuits, damages suits, competition laws-related disputes, and tax disputes (filing of objections, appeal examination, tax suites), but also labor-related suits (on employers’ behalf) and intellectual property-related suits. Also having experiences in fields, such as international commercial arbitrations and multi-party litigations (on behalf of defendant in class actions). Especially in recent years, engaged in handling of shareholder’s proposal, negotiation with activist fund on behalf of issuing company, immediate actions against various petitions for provisional disposition made by shareholders, etc., as well as proxy solicitation and proxy fight, etc. - Giving support with regard to IPO (for 3 already listed companies, currently supporting listing applications of several companies). ・Providing legal advice and acting as legal counsel in relation to TOB. Founder’s asset management company / food company (on behalf of acquired company in 2017) and many other cases. ・Providing legal advice on delisting through share exchange. ・Other than above, advisor to the Board of Director, setup of internal investigative third-party committees and operation of its secretariats, etc. in the event of occurrence of corporate scandals, and many other cases. - A number of corporate lawsuits (on behalf of business operators) such as action for rescission of a resolution of shareholders’ meeting, claim to view and copy shareholder list, claim to view and copy account books, petition to decide acquisition price of shares (on behalf of issuing company/ Tokyo High Court (decision) April 15, 2016, Tokyo District Court (decision) December 20, 2016 (Shoji Homu Vol. 401, p.36), petition to select inspector for shareholders’ meeting, petition for permission to view and copy of minutes of board-of-directors meeting, and petition for order of provisional disposition for injunction of illegal acts claimed by shareholders against directors(on behalf of business operators / Yokohama District Court (decision) May 16, 2017 (Shoji Homu Vol. 411, p.125)). - A number of competition law cases (on behalf of business operators)such as case of abuse of dominant bargaining position (request for trial), Fair Trade Commission trial decision, November 10, 1999 (1997 (decision) No.5), and cartel class action cases (on behalf of business operators / Supreme Court (decision) July 18, 2002 (Supreme court cases civil No. 206, p.887)). - Tax lawsuits (on behalf of business operators) such as claim of reversal of taxation. - A number of labor lawsuits (on behalf of employers) such as claim to confirm the invalidity of dismissal (Amagasaki Branch of Kobe District Court (decision) February 28, 2008 (Hanrei Jiho No. 2027, p.74)), claim to confirm the invalidity of disciplinary punishment, and harassment-related cases. - A number of new-type product lawsuits (on behalf of financial institutions) such as claim to confirm transaction agreement, claim to return unauthorized benefit (Tokyo District Court (decision) October 31, 2012 (Hanrei Times Vol. 1408, p.336)), rejection of request for an account opening (Tokyo District Court (decision) December 16, 2014 (Kinyu Houmu Jijo No. 2011, p.108)), case-related to Article 23(2) of the Attorney Act (Tottori District Court (decision) March 11, 2016 (Kinyu Houmu Jijo Vol.2040, p.94)) and handling of Financial ADR. - A number of temporary restraining orders (on behalf of business operator) such as provisional disposition prohibiting publication on website (Saitama District Court (decision) May 19, 2016 (Hanrei Jiho No.2293, p.99)). - Large-scale lawsuits (on behalf of business operators) class action by consumers (on behalf of credit corporations), and environmental-issue cases (on behalf of business operators). … and many other cases. - ”Legal issues in the prevention measures against illegal usage of bank account”, which appears in Kinyu Houmu Jijo Vol.1937, 2012. Motomura Takeshi, Yoshihara Tomomichi, Okushi Kenichi, Matsubara Takahiro, Mori Shunsuke and other lawyers' commentary article on a judgment rendered by the Tokyo High Court on October 31, 2018 regarding a case in which they represented a real-estate company as plaintiff and claims for damages equivalent to the lost rent and attorneys’ fees were accepted based on the legal principles of negligence in concluding a contract and on the original decision rendered by the Tokyo District Court on March 29, 2018 (regarding a case where a tenant candidate was found to be liable for damages based on negligence in concluding a contract regarding its refusal of executing a contract) appears in the Kinyu Shoji Hanrei No. 1557. Motomura Takeshi and Hirai Futoshi co-authored an article titled "Plea-bargaining System in Japan and Economic Crimes: Points to　Note in Applying the System" which appears in Business Law Journal No. 130. Motomura Takeshi supervised and Ito Hiroki and Saito Hiroki authored the 6th (last) article of the series "Introduction Course for Newly Appointed Auditors: Authority, Responsibility, and Response for Misconduct" titled "Roles of Auditors, etc.for Corporate Scandals: Detective Controls and Response to Investigation, etc.” which appears in the December 2018 issue of a monthly magazine, Gekkan Kansayaku. Motomura Takeshi and Iida Hiroshi co-authored an article titled "Prescription / Limitation of Period and Management of Continuing Contract - In Light of Amended Law of Obligations -" which appears in Business Law Journal No. 129. Motomura Takeshi supervised and Ito Hiroki and Mori Shunsuke authored the 5th article of the series "Introduction Course for Newly Appointed Auditors: Authority, Responsibility, and Response for Misconduct" titled "Auditors' Obligation and Responsibility, etc." which appears in the November 2018 issue of a monthly magazine, Gekkan Kansayaku. Motomura Takeshi supervised and Ito Hiroki and Karasawa Akira authored the 4th article of the series "Introduction Course for Newly Appointed Auditors: Authority, Responsibility, and Response for Misconduct” titled “Board of Auditors and Shareholders’ Meeting: Roles which Auditors, etc. should Fulfill for Shareholders” which appears in the October 2018 issue of a monthly magazine, Gekkan Kansayaku. Motomura Takeshi supervised and Ito Hiroki and Karasawa Akira authored the 3rd article of the series "Introduction Course for Newly Appointed Auditors: Authority, Responsibility, and Response for Misconduct" titled "Board of Auditors and Board of Directors: Important Roles of Auditors, etc. independent of Execution of Operation” which appears in September 2018 issue of a monthly magazine, Gekkan Kansayaku. Motomura Takeshi supervised and Ito Hiroki and Mori Shunsuke authored the 2nd article of the series "Introduction Course for Newly Appointed Auditors: Authority, Responsibility, and Response for Misconduct" titled "Auditors' Duty and Authority, etc." which appears in the August 2018 issue of a monthly magazine, Gekkan Kansayaku. Motomura Takeshi supervised and Ito Hiroki and Saito Hiroki authored the 1st article of the series "[New Series] Introduction Course for Newly Appointed Auditors: Authority, Responsibility, and Response for Misconduct" titled "Laws and Regulations that Auditors, etc. must be familiar with” which appears in the July 2018 issue of a monthly magazine, Gekkan Kansayaku. Motomura Takeshi and Suzuki Yuichi authored an article entitled "Commentary on Tokyo District Court Decision for Olympus Accounting Fraud Case - CEO Dismissal and Best Practice for Officers in the Age of Monitoring" which appears in February 2018 issue of a monthly magazine, Gekkan Kansayaku. Motomura Takeshi, Eiguchi Manabu and Kokawa Tomoya authored an article entitled "Key Points in Reviewing Manual on Compliance with Investigation Procedures under the Anti-monopoly Act - Defensive Measures through Across-the-Board Cooperation for On-site Inspection" which appears in March 2018 issue of Business Law Journal. Motomura Takeshi, Eiguchi Manabu and Kiyose Shingo authored an article entitled "Strategic Legal Practices Actively Using the System of Voluntary Reporting on Violation of the Subcontract Act (Part II)" which appears in Business Law Journal No. 110. Motomura Takeshi, Eiguchi Manabu and Kiyose Shingo authored an article entitled "Strategic Legal Practices Actively Using the System of Voluntary Reporting on Violation of the Subcontract Act (Part I)" which appears in Business Law Journal No. 109. Motomura Takeshi, Yoshihara Tomomichi, Ito Hiroki, Aoki Shinji, Oura Takashi and Suzuki Yuichi co-authored "Shin Shoji Hanrei Binran No.691," which appears in Shoji Homu No. 2121. Motomura Takeshi, Yoshihara Tomomichi, Ito Hiroki, Aoki Shinji, Oura Takashi and Suzuki Yuichi co-authored "Shin Shoji Hanrei Binran No.690," which appears in Shoji Homu No. 2117. Motomura Takeshi, Yoshihara Tomomichi, Ito Hiroki, Aoki Shinji, Oura Takashi and Suzuki Yuichi co-authored "Shin Shoji Hanrei Binran No.689," which appears in Shoji Homu No. 2114. Motomura Takeshi, Yoshihara Tomomichi, Ito Hiroki, Aoki Shinji, Oura Takashi and Suzuki Yuichi co-authored "Shin Shoji Hanrei Binran No.688," which appears in Shoji Homu No. 2112. Motomura Takeshi and Ito Hiroki co-authored an article entitled "Advice for Regional Financial Institutions on How to Manage a Shareholders Meeting in Light of Recent Revised Regulations," which appears in Kinyu Houmu Jijo No. 2039. Motomura Takeshi, Yoshihara Tomomichi, Ito Hiroki, Aoki Shinji, Oura Takashi and Beppu Fumiya co-authored “Shin Shoji Hanrei Binran No.682,” which appears in Shoji Homu No. 2096. Motomura Takeshi, Yoshihara Tomomichi, Ito Hiroki, Aoki Shinji, Oura Takashi and Beppu Fumiya co-authored “Shin Shoji Hanrei Binran No.681,” which appears in Shoji Homu No. 2093. A book compiled by Iwata Godo entitled "Legal Practices for Executives of Financial Institutions - Duties in the Era of Corporate Governance Code - " is published by Kinzai Institute For Financial Affairs, Inc. Hosomizo Kiyoshi (former FSA Commissioner and Special Advisor of Iwata Godo), as a supervising editor, and Motomura Takeshi and Matsuda Takao, as editors and authors, contributed to the publication. Motomura Takeshi moderated a round table discussion, “Business Judgment and Proactive Corporate Governance for a ‘Hybrid-model’ Board of Directors, etc. (II)”, which appears in Shoji Homu No. 2090. Motomura Takeshi, Yoshihara Tomomichi, Ito Hiroki, Aoki Shinji, Oura Takashi and Beppu Fumiya co-authored “Shin Shoji Hanrei Binran No.680,” which appears in Shoji Homu No. 2090. Motomura Takeshi moderated a round table discussion, “Business Judgment and Proactive Corporate Governance for a ‘Hybrid-model’ Board of Directors, etc. (I)”, which appears in Shoji Homu No. 2089. Motomura Takeshi, Yoshihara Tomomichi, Ito Hiroki, Aoki Shinji,Oura Takashi & Sakamoto Masashi co-authored "Shin Shoji Hanrei Binran No.679," which appears in Shoji Homu No. 2088. Motomura Takeshi, Yoshihara Tomomichi, Ito Hiroki, Aoki Shinji, Oura Takashi and Sakamoto Masafumi co-authored “Shin Shoji Hanrei Binran No.678,” which appears in Shoji Homu No. 2084. Motomura Takeshi, Yoshihara Tomomichi, Ito Hiroki, Aoki Shinji, Oura Takashi and Sakamoto Masafumi co-authored “Shin Shoji Hanrei Binran No.677,” which appears in Shoji Homu No. 2081. Motomura Takeshi authored an article entitled “Common Response with respect to Transactions between Japanese Companies,” which appears in Business Law Journal No. 93. Motomura Takeshi, Yoshihara Tomomichi, Ito Hiroki, Aoki Shinji,Oura Takashi & Sakamoto Masashi co-authored "Shin Shoji Hanrei Binran No.676," which appears in Shoji Homu No. 2079. Motomura Takeshi, Yoshihara Tomomichi, Ito Hiroki, Aoki Shinji, Oura Takashi and Sakamoto Masafumi co-authored “Shin Shoji Hanrei Binran No.675,” which appears in Shoji Homu No. 2076. Motomura Takeshi contributed to an article entitled "Study toward Amendment to Articles of Incorporation Concerning Exclusion of Anti-social Forces from Shareholders (Teikan-bouhai) "(written by the Study Group of Teikan-bouhai), which appears in Shoji Homu No. 2075. Motomura Takeshi, Yoshihara Tomomichi, Ito Hiroki, Aoki Shinji, Oura Takashi and Sakamoto Masafumi co-authored “Shin Shoji Hanrei Binran No.674,” which appears in Shoji Homu No. 2074. Motomura Takeshi, Yoshihara Tomomichi, Ito Hiroki, Aoki Shinji, Mutou Yuuki and Sakamoto Masafumi co-authored “Shin Shoji Hanrei Binran No.673,” which appears in Shoji Homu No. 2071. Motomura Takeshi, Yoshihara Tomomichi, Ito Hiroki, Aoki Shinji, Mutou Yuuki and Sakamoto Masafumi co-authored “Shin Shoji Hanrei Binran No.672,” which appears in Shoji Homu No. 2068. Motomura Takeshi, Yoshihara Tomomichi, Ito Hiroki, Aoki Shinji, Mutou Yuuki and Sakamoto Masafumi co-authored “Shin Shoji Hanrei Binran No.671,” which appears in Shoji Homu No. 2066. Motomura Takeshi, Yoshihara Tomomichi, Ito Hiroki, Aoki Shinji, Mutou Yuuki and Onimaru Nozomi co-authored “Shin Shoji Hanrei Binran No.670,” which appears in Shoji Homu No. 2063. Motomura Takeshi, Yoshihara Tomomichi, Ito Hiroki, Aoki Shinji, Mutou Yuuki and Onimaru Nozomi co-authored “Shin Shoji Hanrei Binran No.669,” which appears in Shoji Homu No. 2060. Motomura Takeshi, Yoshihara Tomomichi, Ito Hiroki, Aoki Shinji, Mutou Yuuki and Onimaru Nozomi co-authored “Shin Shoji Hanrei Binran No.668,” which appears in Shoji Homu No. 2056. Motomura Takeshi, Yoshihara Tomomichi, Ito Hiroki, Aoki Shinji, Mutou Yuuki and Onimaru Nozomi co-authored "Shin Shoji Hanrei Binran No.667," which appears in Shoji Homu No. 2054. Motomura Takeshi, Yoshihara Tomomichi, Ito Hiroki, Aoki Shinji, Mutou Yuuki& Onimaru Nozomi co-authored "Shin Shoji Hanrei Binran No.666," which appears in Shoji Homu No. 2049. Motomura Takeshi, Yoshihara Tomomichi, Ito Hiroki, Aoki Shinji, Mutou Yuuki and Onimaru Nozomi co-authored "Shin Shoji Hanrei Binran No.665," which appears in Shoji Homu No. 2046. Motomura Takeshi, Yoshihara Tomomichi, Ito Hiroki, Aoki Shinji, Mutou Yuuki and Onimaru Nozomi co-authored “Shin Shoji Hanrei Binran No.664,” which appears in Shoji Homu No. 2044. Motomura Takeshi, Yoshihara Tomomichi, Ito Hiroki, Aoki Shinji, Mutou Yuuki and Onimaru Nozomi co-authored “Shin Shoji Hanrei Binran No.663,” which appears in Shoji Homu No. 2041. Motomura Takeshi, Yoshihara Tomomichi, Okushi Kenichi, Ito Hiroki and Aoki Shinji co-authored "Shin Shoji Hanrei Binran No.662," which appears in Shoji Homu No. 2039. Toji Yoshihiro, Motomura Takeshi, Okushi Kenichi, Ito Hiroki and Aoki Shinji co-authored "Shin Shoji Hanrei Binran No.661," which appears in Shoji Homu No. 2036. Toji Yoshihiro, Motomura Takeshi, Okushi Kenichi, Ito Hiroki and Aoki Shinji co-authored "Shin Shoji Hanrei Binran No.660," which appears in Shoji Homu No. 2033. Motomura Takeshi authored "Presumed Q/As in shareholder's general meetings - general meetings put to the test for the growth strategy" which appears in Shoji Homu No. 2031. Toji Yoshihiro, Motomura Takeshi, Okushi Kenichi, Ito Hiroki and Aoki Shinji co-authored "Shin Shoji Hanrei Binran No.659," which appears in Shoji Homu No. 2031. Toji Yoshihiro, Motomura Takeshi, Okushi Kenichi and Tokumaru Daisuke co-authored "Shin Shoji Hanrei Binran No.658," which appears in Shoji Homu No. 2028. 16 lawyers from our office including Motomura Takeshi and Okushi Kenichi contributed to publish the book entitled “Q&A Concerning Internet Banking” that appeared on Nikkei Newspaper on March 16, 2014 and ranked fourth in their business publications. Toji Yoshihiro, Motomura Takeshi, Okushi Kenichi and Tokumaru Daisuke co-authored "Shin Shoji Hanrei Binran No.657," which appears in Shoji Homu No. 2025. Toji Yoshihiro, Motomura Takeshi and Okushi Kenichi co-authored "Shin Shoji Hanrei Binran No.656," which appears in Shoji Homu No. 2022. Toji Yoshihiro, Motomura Takeshi and Okushi Kenichi co-authored "Shin Shoji Hanrei Binran No.655," which appears in Shoji Homu No. 2020. Toji Yoshihiro, Motomura Takeshi and Okushi Kenichi co-authored "Shin Shoji Hanrei Binran No.654," which appears in Shoji Homu No. 2015. Toji Yoshihiro, Motomura Takeshi and Okushi Kenichi co-authored "Shin Shoji Hanrei Binran No.653," which appears in Shoji Homu No. 2012. Toji Yoshihiro,Motomura Takeshi and Okushi Kenichi co-authored "Shin Shoji Hanrei Binran No.651," which appears in Shoji Homu No. 2007. An article introducing our office appeared in the August 24 issue of Toyo Keizai, Inc., in which Wakabayashi Shigeo, Toji Yoshihiro, Motomura Takeshi and Uranaka Hirotaka commented on the practice areas and features of our office. Toni Yoshihiro, Motomura Takeshi, Hirayama Kentaro and Okushi Kenichi co-authored "Shin Shoji Hanrei Binran No.650," which appears in Shoji Homu No. 2005. Toji Yoshihiro, Motomura Takeshi, Hirayama Centro and Okushi Kenichi co-authored "Shin Shoji Hanrei Binran No.649," which appears in Shoji Homu No. 2002. Hirayama Kentaro and Okushi Kenichi co-authored "Shin Shoji Hanrei Binran No.648," which appears in Shoji Homu No. 1999. Motomura Takeshi authored an article entitled "Influence on practical loan in accordance with draft interim proposal for amending the Civil Code - IV. Influence upon termination of agreement and collection of claims and how to cope with them,” which appears in Ginko Jitsumu Vol. 43 No.6. Toji Yoshihiro, Motomura Takeshi, Hirayama Kentaro and Okushi Kenichi co-authored "Shin Shoji Hanrei Binran No.647," which appears in Shoji Homu No. 1997. Motomura Takeshi and Mutou Yuuki co-authored an article entitled "Understand clearly in chronological order - Roles of Accounting and Finance officers in General Meeting," which appears in Keiri Jouhou No. 1344. Toji Yoshihiro, Motomura Takeshi, Hirayama Kentaro and Okushi Kenichi co-authored "Shin Shoji Hanrei Binran No.646," which appears in Shoji Homu No. 1994. Toji Yoshihiro, Motomura Takeshi, Hirayama Kentaro and Okushi Kenichi co-authored "Shin Shoji Hanrei Binran No.644", which appears in Shoji Homu No. 1988. An article entitled "Lawsuit from a disadvantageous side and a control of lawsuit" written by Motomura Takeshi appeared in Business Houmu Vol. 13 No. 3. Sakamoto Tomoko, Okushi Kenichi, Tsukada Yuki, Aoki Shinji, Mutou Yuuki and Motomura Takeshi co-authored the article entitled "Practical business response learning from the financial ADR cases," which appears in Ginko Jitsumu Vol. 42 No.10. Toji Yoshihiro, Motomura Takeshi, Tsukada Yuki and Maruyama Shinji co-authored "Shin Shoji Hanrei Binran No. 639", which appears in Shoji Houmu No. 1974. Tokumaru Daisuke, Oura Takashi and Motomura Takeshi co-authored an article entitled "Feature: Practical business for the case of the death of obligor and its succession," which appears in Ginko Jitsumu Vol. 42. No.8. Motomura Takeshi made a report entitled "An extraordinary shareholders' meeting of Olympus - Listing all convocation notices−," which appears in document version of Shoji Houmu No. 339. Motomura Takeshi and Mutou Yuuki co-authored an article entitled "Mastering the deal with seniors," published by the Regional Banks Association of Japan. Motomura Takeshi participated in the symposium entitled “Scandals of enterprises: Current circumstances and future prospect of a third party committee” as a speaker and panelist, of which article and analysis appear in NBL No. 978. Motomura Takeshi edited an article entitled “Handling provisions on gang elimination in the insurance industry” published by the Kinzai Institute for Financial Affairs, Inc.
Motomura Takeshi as representative editor contributed to the publication entitled "Q&A concerning to the governance of General Incorporated Association and Public-interest Corporation"published by Kinzai Institute for Financial Affairs,Inc. Motomura Takeshi co-authored an article entitled "Legal issues in the prevention measures against illegal usage of bank account", which appears in　Kinyu Houmu Jijo Vol.1937. Motomura Takeshi, Okushi Kenichi co-authored an article entitled "Considerations in the countermeasures after the recognition of illegal usage of bank account", which appears in　Kinyu Houmu Jijo Vol.1937. Motomura Takeshi, Okushi Kenichi, Eiguchi Manabu and others represented a financial institution in a case at the Tottori District Court and a commentary article on its judicial decision made on March 11, 2016 (claim for damages brought by a depositor against a bar association and a financial institution resulting from disclosure of the depositor’s bank account information by the financial institution to the bar association following an inquiry made by the bar association to the financial institution in accordance with Article 23-2 of the Attorney Act) appears in Kinyu Houmu Jijo No. 2040. 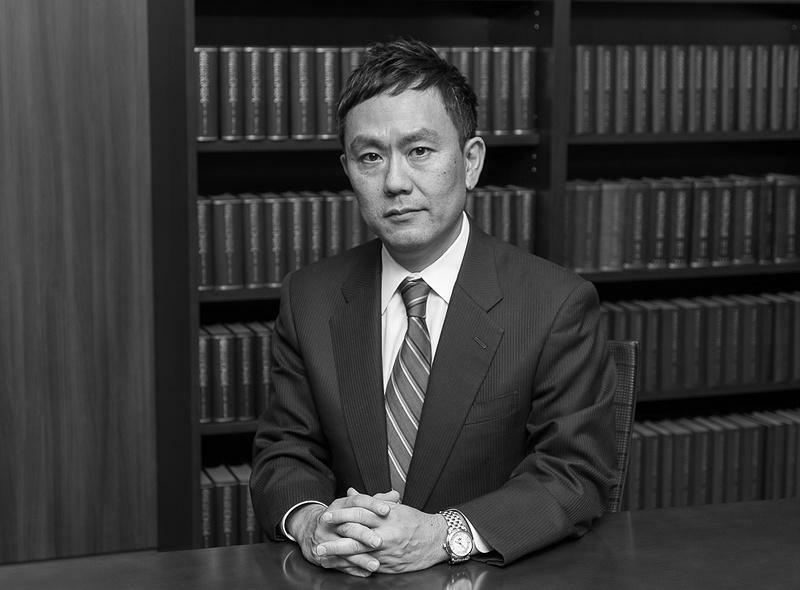 Motomura Takeshi assumed position as a lecturer in the area of civil affairs at the Legal Training and Research Institute of the Supreme Court. Sato Takaki and Motomura Takeshi represented the defendant in a case at the Tokyo District Court and a commentary article on its judicial decision for dismissal of claim on December 16, 2014 (Eligibility for Malpractice regarding Refusal of Application for Opening Savings Account [negative opinion]) appeared in Kinyu Homu Jijo, No. 2011, p.108.